The program limits the time spent with your children on a computer - as soon as the allotted time is finished, the computer automatically shut down and re-entry will be possible only after entering the password. Restrictions can be entered as the overall time (for example, not more than 1 hour a day), and over a period of time when you can work (for example, from 22:00 to 8:00 access denied). In addition, the program allows you to prevent a visit unwanted websites, as well as block access to certain drives and folders. You can set the lock startup of the programs and changes to the registry. The program keeps a log file of all events. 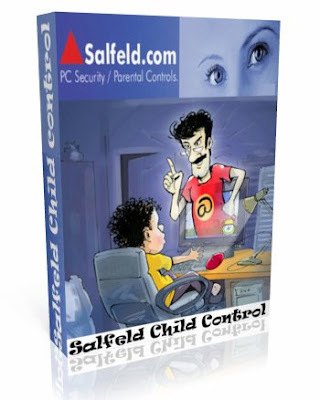 Child Control is one of the most optimal parental control and security solution. Set time limits for the PC and / or the Internet and block / filter unwanted Internet contents. Child Control 2008 limits the access to internal Windows components and personal folders. A protocol informs you at any time as to what happened on your computer and when. Access is protected via password. Notification of PC and Internet Usage via Email notify. Several safety steps for young computer freaks that are too smart. · Report data is constantly logged to keep track of each user's time. · Whitelist EXE> Define exactly which programs your child is allowed to use! · Whitelist Internet> Define exactly which URLs are allowed to use! · E-Mail notification: see what is happening on your home PC from work. · Crack-safe, all "back doors" can easily be blocked via a mouse click. · The user is always of aware of time used, time limit, and time remaining.